Nigeria's Nobel Prize laureate Wole Soyinka says he will cut up his green card if Donald Trump emerges as winner of the US presidential election. The green card is a permanent residence permit for the US - prized by many African immigrants to the US. His comments emerged in the video of a conversation with students at Oxford University in the UK. The famous author appears to be taking a swipe at Mr Trump over his radical stance on immigration. Mr Trump is famous for his promise to build a wall to keep Mexican immigrants out of the US if he makes it to the White House. Under his hard-line proposals, every illegal immigrant currently in the US would be subject to deportation if he wins the election. He says there will be no pathway to citizenship or even legal status for them unless they leave the country and get in line with everyone else who wants to enter the US, subject to the normal immigration procedures. 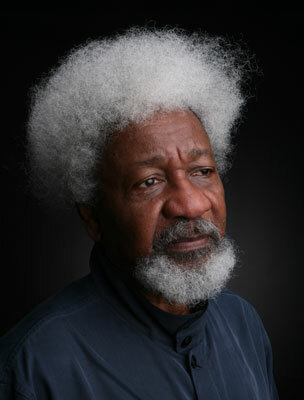 Mr Soyinka said he feared the Republic candidate would ask all green-card holders to reapply to come back into the US. "Well, I'm not waiting for that," the Nigerian author told his student audience. "The moment they announce his [Trump's] victory, I will cut my green card myself and start packing up," he added.